After reading The Shadow Guard, a beta reader told me one of her biggest regrets for the story was that she didn't get to see how a certain (unnamed to avoid spoilers) couple got together. Of course, if you've read TSG, you know who I mean. They're shown together in the last scene, but their full romance story rightfully didn't fit in this book. Still, my beta's comment has pestered me on my regular runs since the book's release in March. I waved it off for a while. Then it began to bring friends, reinforcements really, as I'm fairly certain this has been a coordinated attack... Who are the other Zeiihbuan tribal leaders? What happened to Caide between the pivotal scene in the book and the end? Where does Cal play in this redemption journey? How is Faillen settling into his new leadership role (especially with the disorder hinted at in the beginning of TSG)? Honestly, when I finished TSG, I didn't think there was much of a story in the in-between months mentioned but never shown. My characters disagreed. And as any author knows, sometimes there's no point in arguing with characters. Especially when they use sleep deprivation as a manipulation tool. So let this serve as my official announcement. As of now, I am writing a short story set in Zeiihbu. If all goes well, you should see it sometime in the next six months. One catch though: It will go out to my mailing list subscribers first (and maybe only). So if you want it, get on the list. It's on the left-hand side of my website (and if you're reading this, you're on my website). Now, off to writing! And coffee. Lots and lots of coffee. 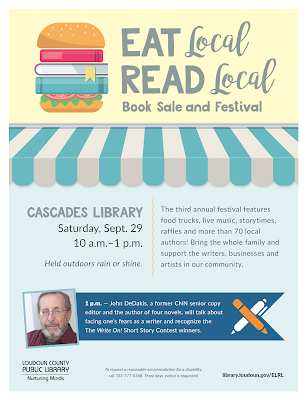 Saturday, September 29, 2018, I'll be signing all five books in the Aerenden series at the "Eat Local, Read Local" festival in Sterling, Virginia (a suburb of Washington D.C.). 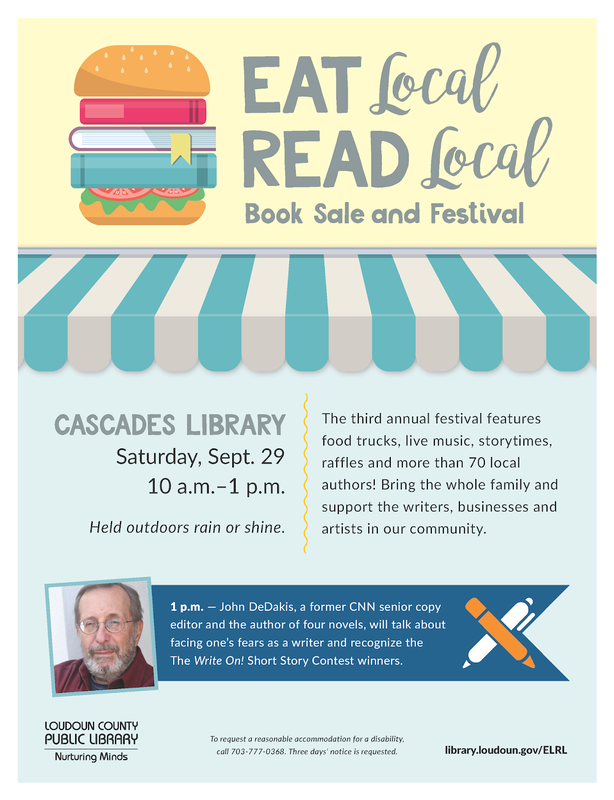 70+ local authors and food vendors will be participating in the event, with activities for kids and families, music, and book readings. If you already own copies of the Aerenden books, bring them to the event, and I'll sign them. While you're there, check out other fantastic local authors.